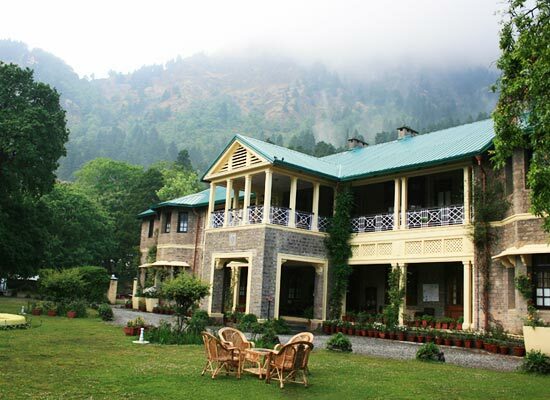 "Constructed in the 1890s as the summer palace of the former Maharajas of Balrampur, today Balram House is one of the best heritage hotels in Nainital. Later redesigned like French Chateaus in the 1930s, this property has even played host to His Holiness The Dalai Lama. Offering stunning views of the Ayarpata hill and Naina Peak, the rooms are spacious and have all the contemporary comforts. 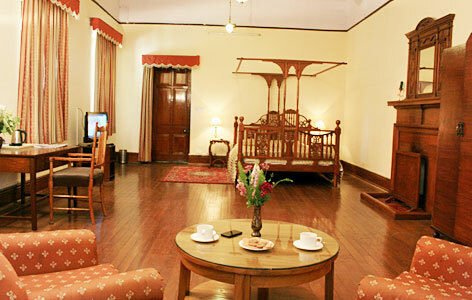 Old-world charm has been amalgamated with modern facilities for the comfort of the guests. The dining room serves dishes of Indian and Continental cuisine. The property also has huge lawn for wedding and formal events. Parking space and children's play area are some of the modern conveniences. Built during the decade of 1890, Balram House was the summer palace of the former Maharajas of Balrampur. Later on, in 1930, the property was reconstructed Mr. Mortimer, a popular European Architect. He redesigned the property in the style of French Chateaus. The property is just 5 minutes’ drive away from the Mall road. 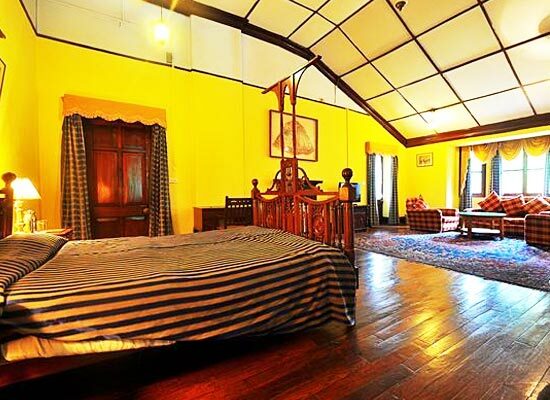 The spacious rooms at Balram House Resort are a mix of vintage charm and modern amenities. 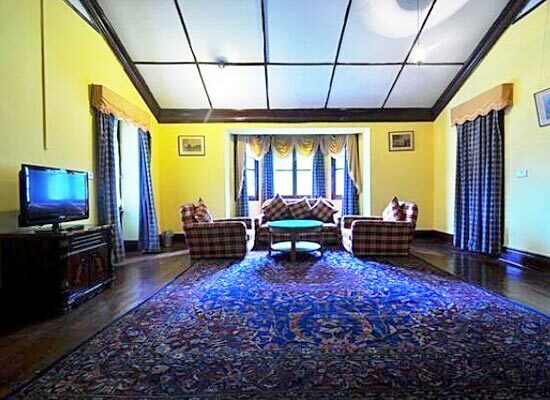 Wooden floors, period furniture, beautiful paintings and old antiques are some of the highlights of the accommodation here. The guests can treat their eyes to the wonderful views of the Kumayon hills, and the property’s garden. The rooms feature a fire place to keep you warm in the winter months. Some of amenities of these rooms include Four-poster bed, Center table with sofa, telephone, LCD TV with satellite/cable connection, attached bathroom, work desk with chair, mirror or dressing table, wooden wardrobe, tea/coffee maker, and so on. 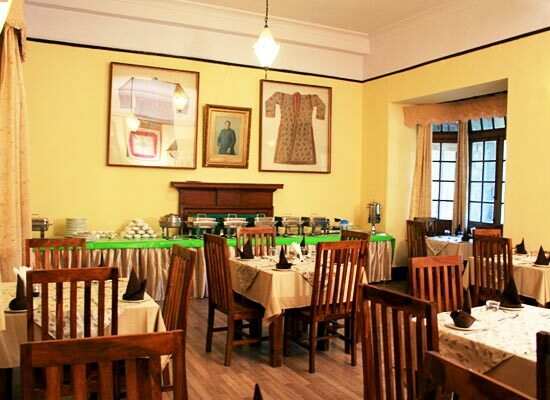 Balram House, Nainital has a huge dining room where the guests can relish scrumptious delicacies of Indian and Continental fares. The cooks in the kitchen are trained by the Royal family of Balrampur. The dining space is warm and the staff is very well-mannered. Nainital with its varied topography and wild life is one of the most frequented places in India. This is an ideal summer retreat for some and the high peaks offer you ample opportunities for trekking and skiing. The colonial past of the city is well reflected in the many houses and roads bearing English names. The weather remains pleasant throughout the Year.